The fight took place at the Saitama Super Arena in Japan on December 31 and ended on a TKO in the first round, when Nasukawa's corner waived off the fight after he had been knocked down three times. 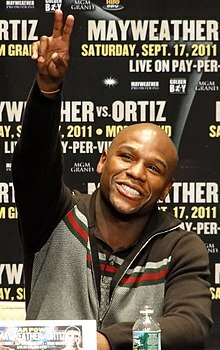 After the fight, Mayweather clarified that he is still retired and only did the fight to entertain fans. The match and its ending, however, were controversial, and drew condemnation and accusations of match-fixing. 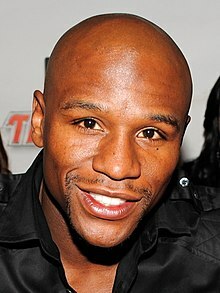 Mayweather reportedly earned $9 million for the fight. ^ Nicolas Atkin (January 2, 2019). "Floyd Mayweather v Tenshin Nasukawa 'fake'? 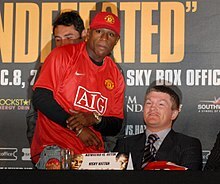 Rigged or not, farcical fight spits in face of fans". 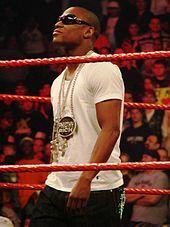 ^ "Twitter accuses Floyd Mayweather of fixing fight against Tenshin Nasukawa". Fox Sports Asia. January 1, 2019.